Bari, Murgia, Ruvo di Puglia, Terlizzi, Castel del Monte, Trani, Matera, Alberobello, Polignano a Mare, Bisceglie, and more! 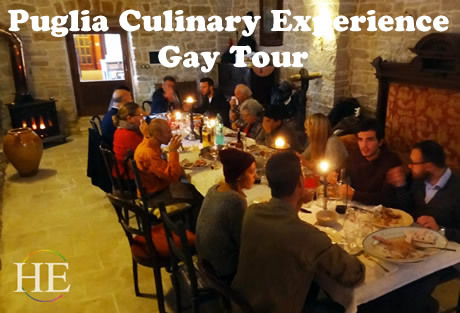 This gay travel Italy culinary tour was designed to give guests a truly authentic taste of the Italian region of Puglia. Every meal will feature local specialties, whether sampled at an agriturismo farmhouse or cooked with guests' help at the villa itself. 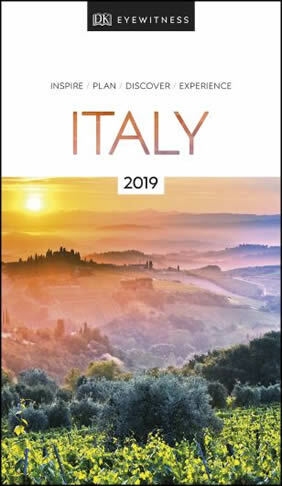 And with each day bringing a tour of charming local villages and interaction with the locals, guests will truly immerse themselves in "La Dolce Vita." Stay in a villa whose history goes back to the 14th century and which has been restored to its ancient splendor by a gay American with deep family roots in the soil of Puglia and his partner. Walk along the ancient Appian Way and walk or bike along lightly traveled roads through countryside that reflects centuries of pilgrims, soldiers and other travelers, including Crusaders on their way to Jerusalem. Puglia was isolated enough from Rome and Florence that the Renaissance barely affected life in the region, so many churches and homes pre-date the Renaissance, some over 1000 years old. From local fishing villages to the UNESCO World Heritage Site of Castel del Monte to ancient Roman bridges and conical trulli structures in the fields, you'll experience all that Puglia has to offer. Each day, enjoy the food and wine of the region, freshly prepared in the kitchen at Villa Cappelli, or at restaurants in Terlizzi and around the area. 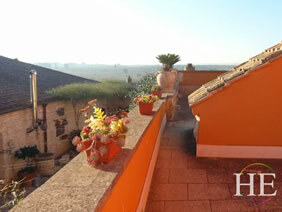 • Reside for a week in the beautifully restored 14th century Villa Cappelli, perched next to the fabled Appian Way. 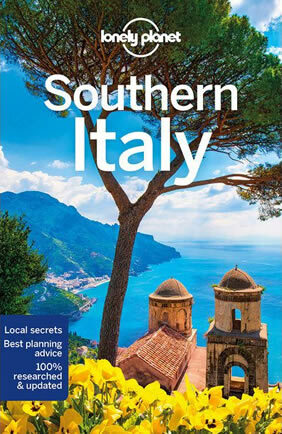 • Visit medieval towns and villages ranging from Adriatic coastal fishing ports to inland market towns. • Relax by our private, clothing optional pool in the villa's courtyard and enjoy a complementary cocktail hour every evening. • Sample local delicacies prepared in the villa's kitchen, using olive oil produced at the villa and exported to gourmet shops. • Dine freely and enjoy wine or homemade liquors such as the local specialty limoncello with dinner. All meals and drinks during our week are included in the tour fee, except for one dinner on your own in the nearby village. 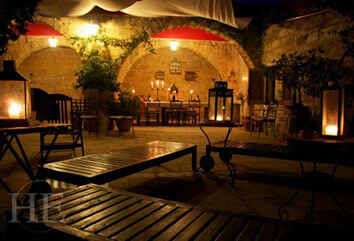 • Taste wine produced at the villa and sample the vintage of nearby vineyards. • Meet neighbors who rarely see tourists and who enjoy mingling with the guests. • The top floor of the villa has three rooms that share a huge living room and one bath, which could be a fun location for friends traveling together. All other rooms have private bathrooms. • A very authentic Italian experience without any "tourist" traps — you'll see few other foreign visitors as you immerse yourself in the slower pace of life in Puglia. Active travelers may enjoy the Puglia Villa Biking Experience, featuring the same delicious regional cuisine, with sightseeing to nearby towns and historical sites accomplished by bicycle. Day 1 - Bon Giorno! 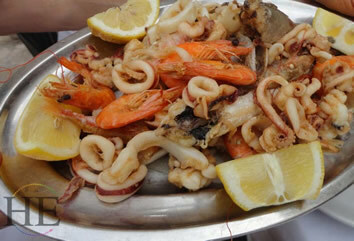 Welcome to Puglia! All travelers should plan to arrive in Bari today. Upon arrival at Bari airport or the Terlizzi or Molfetta train stations, a transfer will be provided to Villa Cappelli, located 20 minutes away on a quiet portion of the ancient Appian Way, a few kilometers inland from the Adriatic Sea. After settling into our rooms, a light lunch will be available for those arriving early enough for lunch. The afternoon will be free to explore the grounds, then later to enjoy snacks and some local wines. We will enjoy our welcome dinner tonight at the villa, sampling the olive oil and other delicacies of the region. This morning, we'll take a trip up to the Murgia National Park where we will visit a local artisan cheese maker and watch mozzarella being made before our very eyes — and sample some right then and there. We will pick up cheeses to enjoy for lunch and throughout the week. From here, we'll head over to nearby Ruvo di Puglia and the Jatta Museum, famous for its Grecian Urns. (Many of Ruvo's Grecian Urns are on display in the Greco-Roman Galleries at the Metropolitan Museum in NYC and many other world-class museums). After, we'll return to the villa for lunch. Anyone is welcome to join in the cooking of lunch or to simply lounge by the pool until lunch is ready. The afternoon can be spent exploring some of the sites nearby the Villa. Puglia is famous for its trulli and there is a double trulli just down the road. These are stone houses made without mortar and used by farmers in past centuries when they were away from their homes and families in the villages. There is also an ancient church (dating from 1000 A.D.) nearby that is always a favorite with guests. This evening we will travel into Terlizzi, the nearest town, for a delicious group dinner, enjoying some local dishes of the region. Ok, pasta's not really the Holy Grail (although some might disagree), but today we explore both. First, in the morning we'll all gather to make fresh pasta in the villa's kitchen. We'll crack some eggs, knead some dough and roll out our specialties just like they've been doing it in Italy for hundreds of years. We'll set the pasta out to dry for dinner then take off exploring. We'll head off to visit Castel del Monte, a UNESCO World Heritage Site that is featured on the back of the Italian version of the Euro penny. Built in the 13th century by the Swabian Emperor, Frederick II, Castel del Monte is perched atop a hill, overlooking all of Puglia and the Adriatic. The castle is featured in many myths and legends, including the Holy Grail. After a tour of the castle, we will head back to the villa for a light lunch. After lunch, guests can enjoy some down time at the villa. Later in the afternoon an olive oil expert will visit the villa for a course in olive oil production and olive oil tasting. 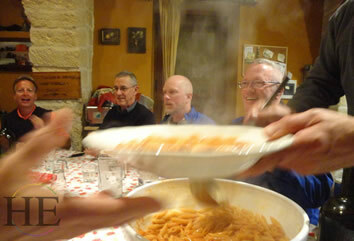 Then, we'll all enjoy a delicious pasta dinner with the fresh pasta we made earlier in the day. This morning we'll travel the sea-side town of Trani. This charming town features a beautiful port and a giant cathedral that sits right on the sea. It's a beautiful gem of a city. Next, we'll travel back in time to 216 B.C. and the site of the Battle of Cannae, a major battle of the Second Punic War, near the town of Cannae. Here Hannibal decisively defeated a numerically superior army of the Roman Republic, and it is regarded as one of the greatest tactical feats in military history. From Cannae, we will travel to the famous agriturismo Antichi Sapori and enjoy a truly special lunch in a remote restaurant whose chef has won wide recognition. We'll explore the restaurant's huge garden afterwards to see just where all the fresh ingredients come from. It's a meal you'll never forget. After a long lunch, we'll head back to the villa to relax. Dinner tonight will be something light at the villa. Day 5 - Oh my, it's Matera — and Pizza! Today we drive through the mountainous Murgia region to Matera, another amazing UNESCO World Heritage Site. This area dates back centuries, but is still occupied today by residents, shops, restaurants and even hotels that are built into the soft "tufa" rock. We'll walk the ancient winding streets that are so well preserved that they have been used in many movies, including Mel Gibson's The Passion of the Christ and the recent Ben Hur. We'll take our time touring, including a compact cave house museum, then have lunch in a local restaurant before heading back to the villa. We'll return to Villa Cappelli where tonight each of us gets to be a master pizza chef! We will gather in the cozy kitchen so that we can each roll our own crust (made from scratch). Then we will select toppings from the numerous bowls laid out on the table and put our creation on a long-handled tray to be cooked in the villa's own ancient wood-burning pizza oven. 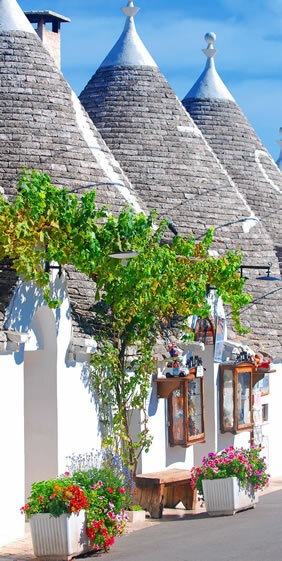 We'll head out this morning to Alberobello, a town famous for its trulli, which are stone buildings made without any mortar. If you've ever seen a Puglian guidebook, these structures are often featured on the cover. After a quick tour of the town, we'll head over to the seaside town of Polignano a Mare. We'll walk the winding ancient streets and enjoy the views from this amazing city that literally juts out into the sea. We'll lunch together at Grotta Palazzese. Named one of the top ten restaurants with a view, the dinning area is literally caves carved out of the rocks sitting right on the sea. Dinner tonight will be a light dinner at the villa or a trip into town. We'll wake up early today to head to the Adriatic port of Bisceglie and its busy fish market, picking out some of the freshest seafood you will ever find — right off the boats minutes before. After choosing what we'd all like for dinner, we'll stop by Giovinazzo, a cute fishing village with a magnificently restored medieval town center. Once back at the villa, we will have a wine tasting and lunch. A sommelier will visit the villa for a our lessons. We'll sample local specialties and learn what to look for in a good wine. After we pick up few delicious new tips, we'll have share the wine over light local treats. After lunch, we'll head to a nearby ceramics center with a kiln that dates back to before 1 A.D. We can watch as Italian artisans craft beautiful items by hand and pick up some amazing souvenirs. Finally, we'll all share in an amazing farewell fish dinner at the villa. Today we bid farewell to our friends and to Puglia. A morning group transfer will be offered to Bari Airport for flights back to Rome and beyond. Please note that for some flight routings, an overnight stay in Rome will offer the widest choice of flights heading home. • Transfer from Bari Airport or Terlizzi or Molfetta train stations on the first tour day, and back to Bari airport on departure day. This tour starts and ends in Bari, Puglia, Italy. If flying from North America, we recommend a minimum 2-hour connection window in Rome or Milan. There is also one flight a day from Munich, Zurich and London, but by far the most connections are via Rome. If you take the train from Milan, Rome or another location, the closest train station to Villa Cappelli is Terlizzi, on the local commuter line after you change trains in Barletta, and a 4-minute drive from the villa. This trip offers daily sightseeing with a moderate amount of walking on uneven pavement and paths in cities, villages, the countryside and historic sites. Someone who cannot walk long distances could enjoy most aspects of the tour, but may want to stay near our vehicle instead of joining longer walks. Several mountain bikes are available at Villa Cappelli for those who would like to do some informal riding. The lightly traveled roads near the villa are a mix of gravel and paved roads. 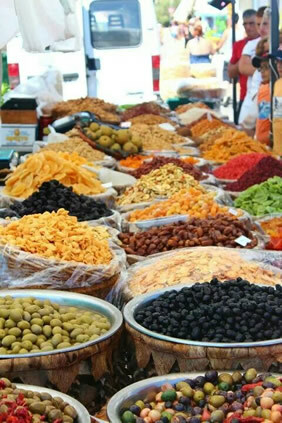 As a culinary tour, this tour will feature a bountiful array of fruits, vegetables, meat, fish and delicious olive oil, sauces and seasonings. As with all of our tours, we will do our best to accommodate any dietary needs of our guests.